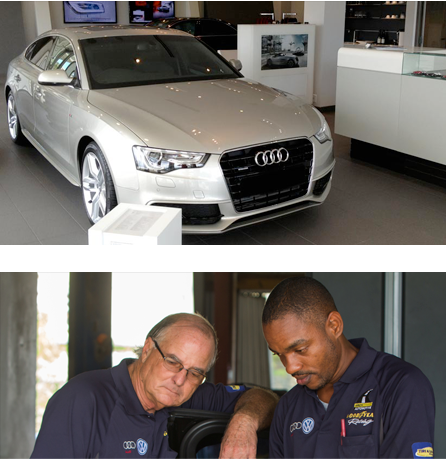 Arch Automotive has served the people of the Cayman Islands since 2001. We are a proud independent Goodyear dealer, the only International dealer that is part of the Tire & Service Network and the only Authorized Audi and Volkswagen service centre on the Island. We offer complete automotive and tire maintenance and repair. All repairs are provided by highly qualified technicians who are ASE certified. Our qualified staff services numerous vehicles through the use of quality truck and car repair equipment and parts. Whether you drive a passenger car, medium truck, mini-van or SUV, our technicians guarantee that your vehicle will be performing at its best before leaving our service bays. So if you’re looking for the best auto repair services and tires, Arch Automotive is your place. Looking for a one-stop automotive repair shop with honesty, integrity, and commitment to customer satisfaction with superior standards, look no further than us. Allow our technicians to give you a reliable estimate of any automotive repair issue you might be facing and gain your trust and respect for all of your automotive needs, service, and tires. Our number one goal is not only customer satisfaction, but absolute customer delight! Our service centre has a longstanding reputation for quality repairs. We pride ourselves on customer service skills and the fact that all car repair services performed by our ASE certified technicians are done right the first time. Whether you need routine auto maintenance, necessary car repairs or diagnostic service, contact us online or call to schedule your next auto service appointment at Arch Automotive. 949-8221.